Thousand Oaks Civic Arts Plaza - 2100 Thousand Oaks Blvd. 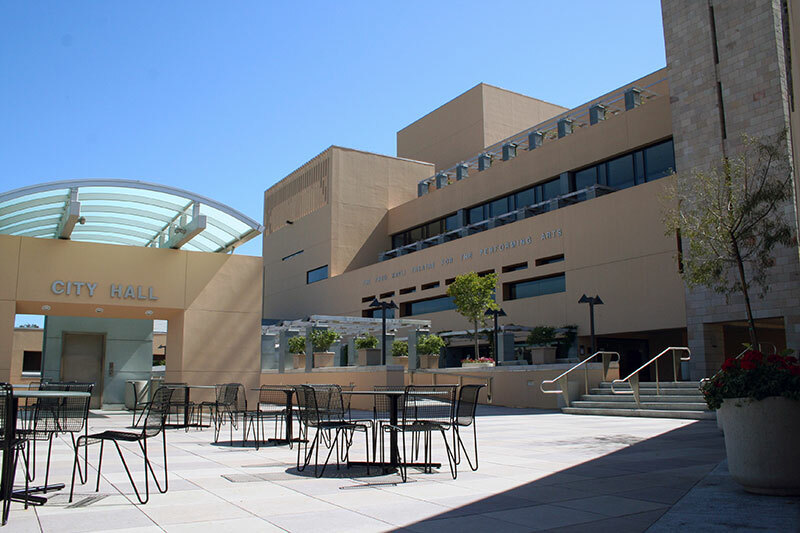 One of the largest performing arts centers between Los Angeles and San Francisco, we’re proud for now eighteen seasons to call the Thousand Oaks Civic Arts Plaza our San Fernando Valley home. Designed by nationally renowned architect Antoine Predock, the complex juxtaposes serene meadowland and park-like vistas with a bustling entertainment center. Predock’s vision, which he describes as confronting “the fantastic duality of Southern California—the man-made realm and the landscape,” has resulted in an intricately assembled structure of modern proportions nestled amongst towering oak trees, natural grasses and wandering stream beds. 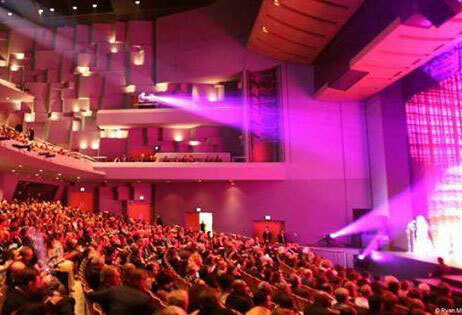 The Lakes at Thousand Oaks is next to the Civic Arts Plaza and provides the perfect date-night or family atmosphere for your pre-show experience. Sabor Cocina Mexicana and Umami Burger are member favorites, while also close by you can find The Melting Pot, Stonefire Grill Restaurant and the Tipsy Goat. Take 23 Freeway South; exit Thousand Oaks Blvd/Hillcrest. Turn left on Thousand Oaks Blvd. Enter parking structure by turning right on Dallas Drive. Parking available in structure. $8 per vehicle on performance dates – cash only.